Our Money Management Program best benefits low income physically/mentally disabled adults who are starting to lose or do not have the cognitive ability to manage their monthly income and bills are not being paid which puts them at risk of losing their independence. Someone showing early signs of dementia, someone with a mental health issue, someone that has had a stroke or brain injury or someone with a, intellectual developmental disability is more the type of individual that will benefit from the way our Money Management Program is structured to work. This program is accomplished by using screened Staff and or VOLUNTEERS to serve Representative Payees. Brazos Bend Guardianship Services is the agency providing the program in the Ft. Bend County area. All volunteers are trained and monitored. Representative Payees help the clients to manage the government benefit (Social Security, Supplemental Security Income, Dept. of Veterans Affairs, Railroad Retirement, Office of Personnel Management) they are receiving by developing a budget, balancing their check book and paying bills. The BBGS staff or volunteer will have check signing authority. Annual income can be no greater than $25,000. Liquid Assets (assets that can easily converted to cash) can’t exceed $35,000. Be willing to accept assistance and be supportive of Brazos Bend Guardianship Services being named as organizational representative payee. Be able to provide a letter from the client’s Dr. that they are not able to manage their income. NOTE: Client MUST have 2 forms of ID in order for BBGS to be able to serve as the Representative Payee that includes a state issued driver’s license or ID and a Social Security Card. DISCLAIMER: The information presented on guardianship and alternatives to guardianship on this website is only information. It in no way can be taken as legal advice since Brazos Bend Guardianship Services nor any of its’ employees are authorized to practice law. 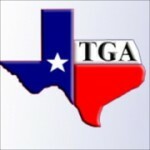 We are proud members of the Texas Guardianship Association. 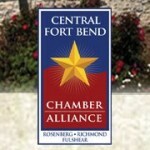 We are proud members of the Central Fort Bend Chamber Alliance.